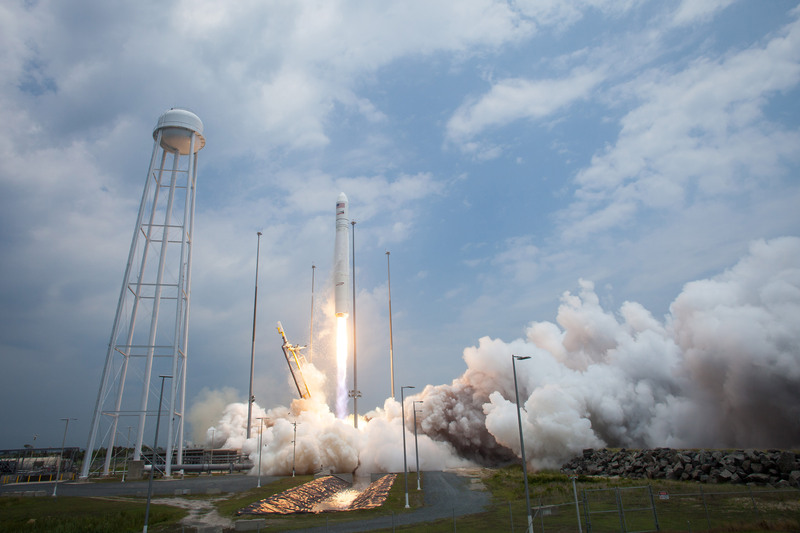 A multitude of NASA research investigations, crew provisions, hardware and science experiments from across the country is headed to the International Space Station aboard Orbital Sciences Corp.’s Cygnus spacecraft. The cargo craft launched aboard Orbital’s Antares rocket from NASA’s Wallops Flight Facility in Virginia on July 13, 2014. The Orbital-2 mission is carrying nearly 3,300 pounds of supplies to the ISS, which will expand the research capability of the Expedition 40 crew members. Among the research investigations headed to the orbital laboratory are a flock of nanosatellites designed to take images of Earth; and a satellite-based investigation called TechEdSat-4. Another experiment features a sensor and multiple cameras to enable 3-D mapping and robotic navigation inside the space station. In addition, a host of student experiments are on board as part of the Student Spaceflight Experiment Program. Expedition 40 Commander Steve Swanson of NASA, with help from Alexander Gerst of the European Space Agency, will use the station’s robotic arm to take hold of Cygnus at 6:39 a.m. Wednesday, July 16. In August, the capsule, which will be filled with trash, will depart the station and burn up during reentry in Earth’s atmosphere.